In real estate, agents focus on telling stories. Whether it’s the seller’s memories in their old home or the buyer’s hopeful dreams in their new one, agents try to build emotional connections with their clients. Launched in 2010, Instagram has grown from a platform used only for pictures of fancy food and artful lattes to a social media giant. With over 800 million monthly active users, it’s no wonder Instagram Stories has also boomed, now with 250 million daily active users. Instagram users were first introduced to Stories back in August 2016. Similar to Snapchat, Stories allows users to create 15-second snippets of pictures and videos that are viewable to their followers for 24 hours. 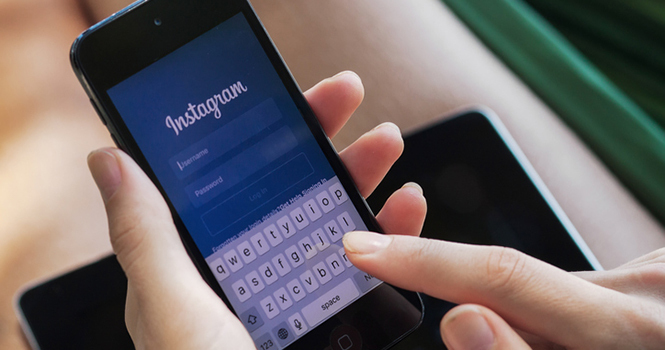 With the popularity of Stories increasing, Instagram recently released new advertising features for businesses, making it an even better connection tool. Here are some tips that can help you stand out, and ways you can create Instagram Stories to boost your business. While Stories has been connecting friends for years, businesses are now able to sponsor ads that will appear in users’ streams. Instagram opened this advertising option to select businesses in January and to general users in March. As long as a user has a business profile, they’re able to take advantage of this feature. Businesses are able to use any of the content publishing options, and can include a call-to-action, providing a unique way to connect with a specifically-targeted audience. While the overall function of the ads is simple enough, there are some best practices to follow when posting to Stories. It’s important that the first segment of your story is visually appealing and grabs your viewer’s attention. Instagram Stories’ has historically been used to share raw footage. Use this to your advantage by showcasing a unique side of your business that will draw the viewer in to watch the next segments, which will eventually lead to your call-to-action. It’s also critical to have some kind of call-to action. Many ads save this for the last segment by using a slide that says something similar to “swipe up for more information,” which then leads to the company website. In addition to this, it’s important to make your brand name visible at some point in the story. This not only shows viewers who they’re watching, but also helps to develop the connection between your brand and your content. You could do this by wearing your company shirt, standing in front of your logo, etc. Finally, make your content relevant to your viewers. Think about your overall advertising goal and consider how your Instagram Stories would support that goal. In your story you could share a tip, give a sneak peek at a how-to guide, show an inside look at a facet of your business, and more. Since this kind of advertising is immediate, if you’re releasing it around a holiday, focus your content around something suitable for the time. When it comes to real estate, Instagram Stories can be a useful tool to create more meaningful engagement with viewers. Agents can use Stories to give a sneak peek of a new listing by showcasing different rooms or unique features of a home. Another option could be to share shots of an open house you’re hosting. Finally, users love to know what happens behind the scenes at a company. Give them what they want by snapping pictures of new marking materials, introducing a new agent who joined your brokerage group, or sharing footage of a recent company celebration. Remember to include a call-to-action at the end of each story to draw in viewers. Something as simple as “swipe up to find homes like this in your area” or “swipe up to find out how we can help you find your dream home” serves your purpose. While Instagram is a great way to promote your brand and your listings, it can be challenging for a busy real estate professional to maintain, along with other social sites. Need help managing your social presence? Homes.com’s Social team is here to help. Homes.com Social is a comprehensive social media suite designed specifically for real estate professionals who are looking to better connect and engage with their audience. Give your real estate brand a social media strategy that is sure to boost your business.